Twitter Bootstrap is getting very popular recently. Stefan Petre has developed two really useful plugins for Bootstrap in order to enhance the experience. They are Colorpicker for Bootstrap and Datepicker for Bootstrap. Colorpicker for Bootstrap can let you add color picker to text field or to any other element. It can be used as a component on Bootstrap. It supports multiple formats: hex, rgb, rgba, hsl, hsla. 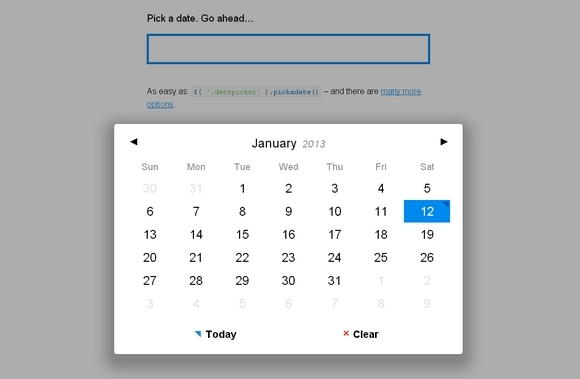 Datepicker for Bootstrap can let you add datepicker picker to field or to any other element. It supports formats: dd, d, mm, m, yyyy, yy, with separators: -, /, . Countdowns can be a great way to build up anticipation when launching a new website or web application, it gives users a clear indication of how long they need to wait before they can get access to your site. jQuery Countdown is a handy and pretty jquery countdown plugin for you. You can easily customize the format, images, width and height. And it’s only 1.7 KB. Best of all, it’s released under Apache License 2.0 which is free for download. Also, it is non-destructive to the DOM, so it can safely be included in third party libraries without fear of side effects. It is released under MIT and GPL License. Jef Vlamings had an idea to build a calendar app called LiveCal, which was supposed to become a platform where you could share calendars. The whole idea was that calendars would become something you subscribe to. Due to the complexity of the idea and the lack of knowledge, the project never really took off. 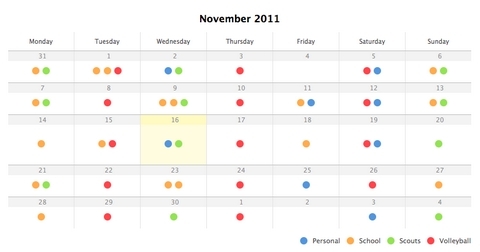 However, he made a CSS3 calendar with some jQuery animation while he was working on the project. 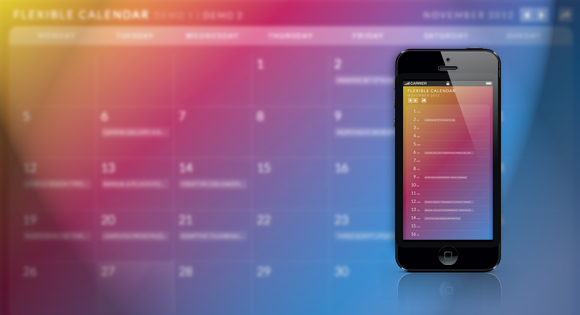 And then he has shared a nice tutorial on How to Create A Clean Calendar in CSS3 & jQuery. When building a coming soon or event page, you find yourself in search for a good way to display the remaining time. A countdown gives the feel of urgency, and combined with an email field will yield more signups for your newsletter. Tutorialzine has shared a tutorial on Making a jQuery Countdown Timer. It will show the remaining days, hours, minutes and seconds to your event, as well as an animated updates on every second. 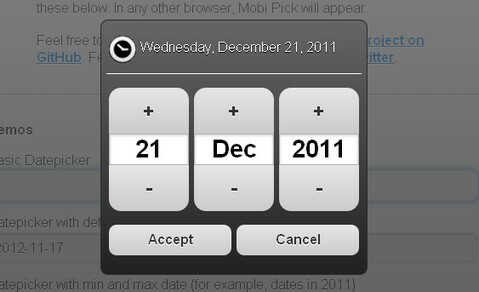 Mobi Pick is an Android-style datepicker widget for jQuery Mobile. 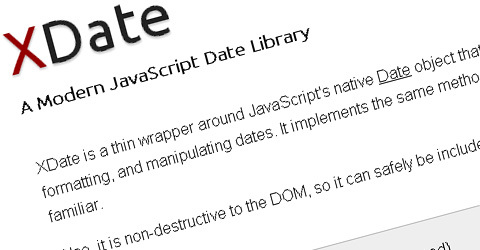 It uses the date library XDate and allows progressive enhancement for date input fields using Modernizr. It is free for download and released under MIT license. If Mobi Pick does not suit your porject, you can also take a look at other datepicker and calendar components we have mentioned before.